As an actor, Wai has worked with numerous regional theaters including The Goodman Theatre, The Lookingglass Theatre Company, Victory Gardens Theater, TimeLine Theatre Company, McCarter Theatre Center, Unicorn Theatre and The Old Globe. He is a proud member of Actors' Equity Association. As a choreographer, he has choreographed over 40 productions and is the former Resident Choreographer for ætherplough. 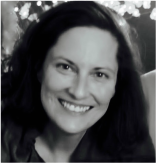 Former Artistic Director, Susann Suprenant is a creativity coach and somatic educator studying to complete her certification in the Feldenkrais Method. Susann has been composing devised work and directing physically-based ensemble work for over 30 years. She loves all things imaginative and now directs children's theatre whenever possible. She earned her Ph.D. in theatre at University of Oregon and credits her years in Brown Bag theatre/San Francisco State to her commitment to ensemble production.